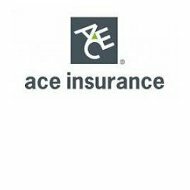 Westchester Fire Insurance Company is part of an international insurance and financial services company known as ACE Group. They originally maintained their offices in New York but were merged with another ACE subsidiary, ACE Indemnity Insurance Company, in order to relocate them from regulation-heavy New York state. The new merged company is known as ACE Westchester. This subsidiary deals primarily in property, casualty, and professional liability policies for business, as well as environmental and inland Marine coverage. We make it easy for you to see health insurance rates online by entering your zip code in the box below. Based on ACE Group’s description of ACE Westchester, is not easily discernible which specific products the Westchester subsidiary deals with. The total list of products and services from the ACE Group is very extensive, to say the least. With dozens of different options spread across a multitude of subsidiaries, assigning one or two particular types of insurance to a single subsidiary is not practical. Therefore, the following paragraphs regarding health insurance are assumed to be correct but not guaranteed. ACE Group offers two different types of health insurance; they may or may not be available through Westchester Fire Insurance Company. The first type of policy is a supplemental policy sold directly at the consumer level. As a supplemental policy, this type of insurance is designed to pay part of policyholder’s healthcare costs that are not absorbed by his primary insurance or other resources. Since it is supplemental insurance, a policyholder must have primary insurance in order to reap the benefits of it. The second type of health insurance offered by ACE Group is part of an employee benefits package offered to employers. ACE Group offers employers everything from basic benefits packages to fully comprehensive ones, depending on each employer’s needs. It appears as though this health insurance is based on the PPO/PPM model utilizing doctors and health care facilities that are part of an organized network. It’s not clear how extensive the network is or how many companies utilize ACE Group for their benefits needs. ACE Group works with a large number of agents all across the globe. We assume that Westchester Fire Insurance Company is included in this. The corporate website clearly states that all agents wishing to represent ACE Group must be appointed by them. With that said, the language presented makes it unclear whether appointed agents would remain independent or become captive agents of the company. Much of that might depend on the particular country where the agents are located. It would seem that in the United States agents would remain contracted with ACE, but on an independent basis. Likewise, ACE USA has nine different regional locations scattered around the country. Contact information for those regional offices can be found on the ACE USA website. ACE Group is one of the largest global financial and insurance organizations in the world. As of the end of 2009, the company boasted more than $70 billion in total assets and roughly $19 billion in written policies. A.M. Best gives the company an A+ rating while Standard & Poor’s gives a rating of AA-. As for Westchester Fire Insurance Company specifically, records filed at the end of the 2010 fiscal year show the company in very good financial health. They reported total assets of $2.56 billion, a policy surplus of $755 million, and working capital of $4.5 million. The combination of strong financial ratings and more than adequate capital amounts makes ACE Group and its subsidiaries one of the strongest insurance entities possible. With a physical presence in 53 countries and business conducted in more than 170 countries, ACE Group stands to be around for a long time to come. When it comes to finding health insurance quotes online, nothing could be easier than entering your ZIP code into our free search tool below.